I approached this CD with a bit of trepidation. Hamelin has made an impression upon me long ago for his work in playing some of the world's least-performed virtuosic music, always a joy to hear. I have consequently collected all his recordings on Hyperion (less I think one), and on other labels as well. I have not always been equally happy in his recordings of more standard Classical period music (his Haydn being an exception). This Hamelin disc was a revelation to my ears. This is some of the very best playing I have heard from Marc-André Hamelin in the Classical literature. 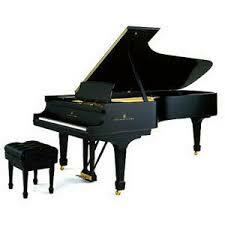 What we have is an all-Schubert disc of the Sonata in B-flat Major, D960 and the Four Impromptus, D935. For me, the opening movement sets the pace and mood for the entire sonata and Hamelin approaches it delicately and with expression aplenty. His choice of pianos for this recording is voiced to lend itself to the music exceedingly well (it is a beautifully voiced Steinway placed in warm acoustics). In some areas I am reminded of my own best recorded example of this piece (Clara Haskil, Philips/Decca), and even Schnabel and Edwin Fisher's tonal characteristics — tonal clarity with beauty of sound). In the sonata and impromptus the pianist is not going to any races nor imbuing the music with any "unnatural" qualities we sometimes hear in magnum works such as the sonata. 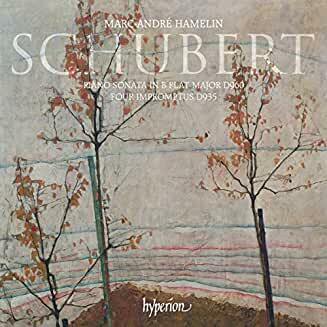 Lots of Schubert around on CDs, but put this one on your list. I would like to know your own thoughts on his interpretations. I may have mentioned it here before: Hamelin played the sonata's first movement as an encore at his benefit recital for WHRB. The main program had consisted mostly of Hamelin specialties and applause for the Schubert was merely polite, but I thought it was first rate. Afterwards we asked Hamelin if he would actually have played the complete sonata as his encore and he said yes if the audience had been more receptive. Afterwards we asked Hamelin if he would actually have played the complete sonata as his encore and he said yes if the audience had been more receptive.
" In 1921, at age 17, he made his Berlin debut performing in Busch's ensemble as the keyboard soloist in the Brandenburg Concerto No. 5. At the end of the concert, Busch told Serkin to play an encore to the enthusiastic audience. Serkin later reported that he asked Busch, "What shall I play?" and Busch "as a joke" told him to play the Goldberg Variations "and I took him seriously. When I finished there were only four people left: Adolf Busch, Artur Schnabel, Alfred Einstein and me." I have definitely mentioned it here before, but it's worth repeating: At a recital in NYC on July 16, 2004, Hamelin played the complete Beethoven Op.111 as an encore. Certainly, one of my most memorable experiences as a concertgoer. According to Swafford's biography of Brahms - and this is a distant memory now - Brahms played a new sonata by another composer at a recital, which received scant applause. The rest of the recital being rapturously received, as an encore Brahms played the whole sonata again.